The Horror Honeys: Friday Favorites ~ Haunted House Movies! Friday Favorites ~ Haunted House Movies! 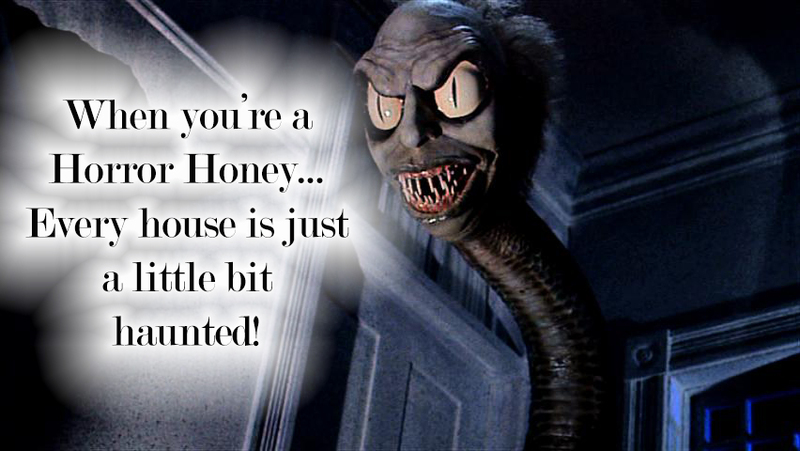 As Halloween creeps ever closer, nothing stirs the Honey Hexmas spirit quite like the thrill of a haunted house movie! From classics, like The House on Haunted Hill to new favorites like The Pact, horror films set in (possibly) haunted houses can rouse every imaginable emotion. This week, the Honeys have compiled their favorite haunted house films: some are comedic, some are dramatic, but all might leave you sleeping with the light on tonight! Do YOU have a favorite haunted house movie? Let us know on Twitter, using #hauntedhousehorror!